Are You Wondering If a Mastiff Lab Mix Puppy Is Right for You? Welcome to Our Complete Guide to The Labrador Mastiff Mix! The Mastiff Lab Mix Is the Result of a Bullmastiff Cross Labrador. 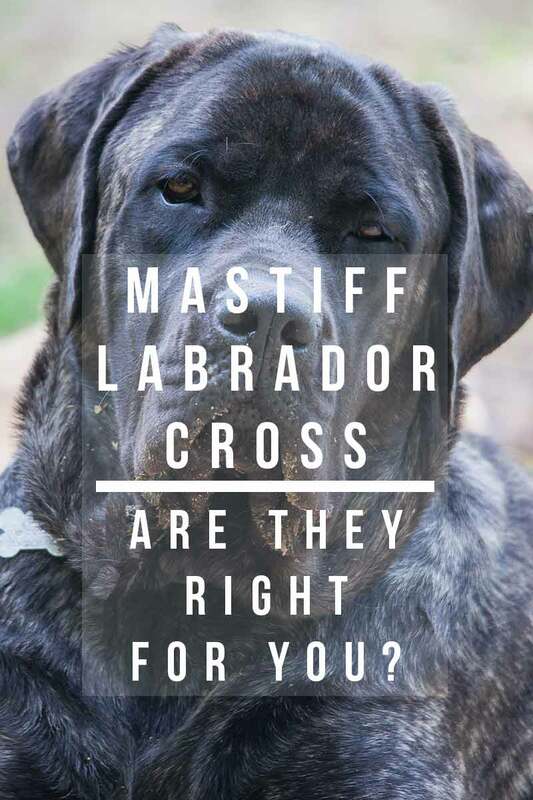 The Mastador hopes to bring together aspects of the brave, affectionate and loyal Bullmastiff, and the active, friendly and outgoing Labrador. And it must be said, those large, doleful eyes and floppy jowls are hard to resist. For these reasons and many others, the Mastador has become a popular family pet. But there is more you should know before purchasing a Lab x Mastiff puppy. For instance, they are a large dog and generally like to be active. 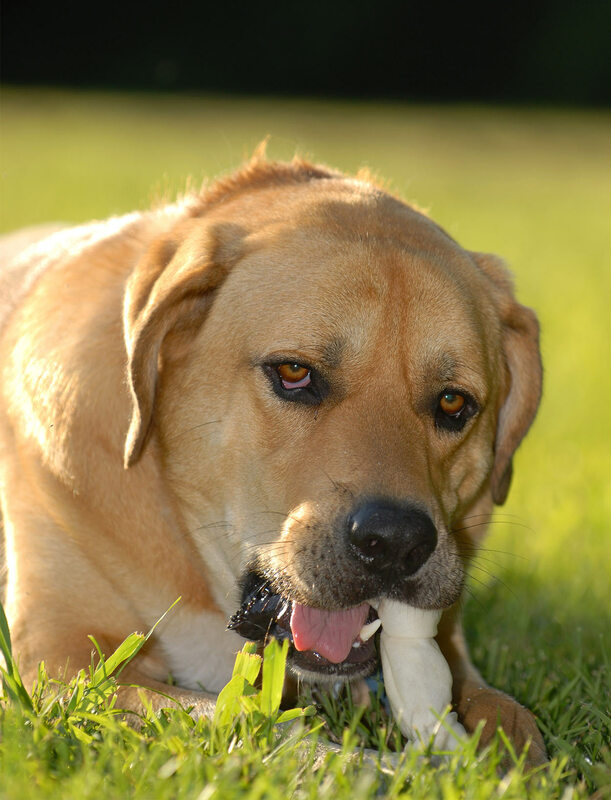 The Mastiff Lab mix is also a first-generation mix, and there is a lot of controversy surrounding dogs which are first generation mixes. Before we discuss specifics of the Labrador x Mastiff, let’s have a closer look at this controversy. Advocates of purebred dogs claim there are numerous advantages to keeping dog breeds pure. They assert that purebred dogs are bred to standards that make aspects of the dog, such as its qualities and attributes, predictable. Furthermore, if a dog is bred well, breeders exactly know where the dog has come from genetically. This familiarity means that breeders can be selective about which tests to perform on a dog before they are used to breed, thus reducing the risk of inherited illnesses. However, advocates of the purebred dog will admit that this tight reign on the genepool of the purebred dog can also lead to problems. The smaller a gene pool, the greater the risk of inherited illnesses and weaknesses. It is true, dog breeders need to take great care that they introduce enough diversity to the genepool so that puppies do not inherit problems. 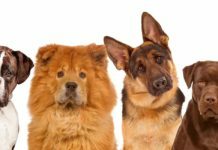 Advocates of mixed breeding claim that crossing two breeds ensures that dogs are healthier and have a lower risk of developing illnesses or carrying weaknesses associated with inbreeding. Some advocates of purebred dogs will claim that the advantages of mixed breed dogs are nothing but fallacy. We have addressed some of these objections in another article which you can find here. 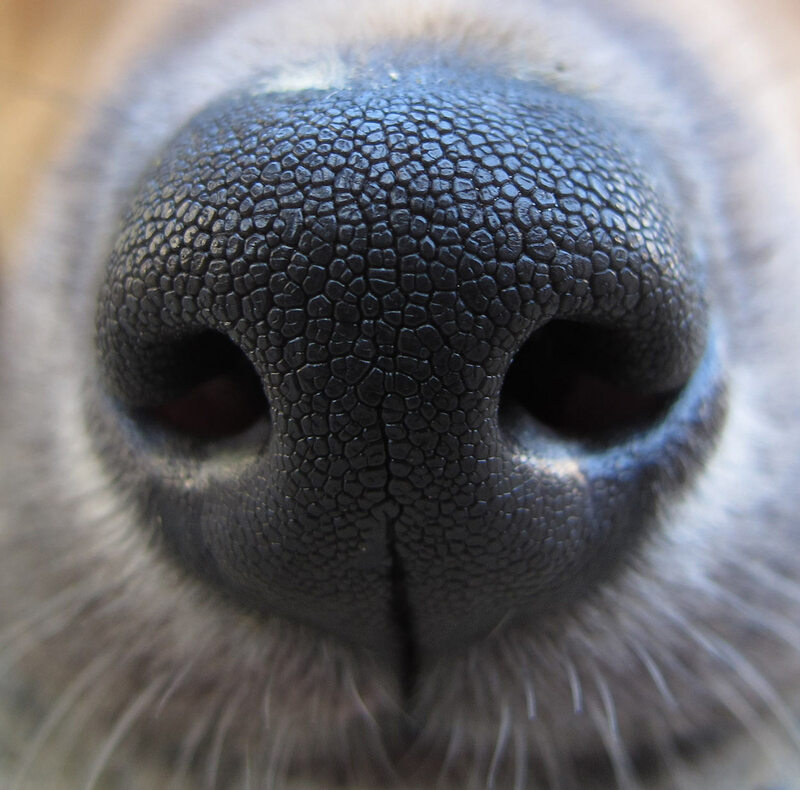 Designer Dogs – What Does Science Say? There have been numerous studies conducted on this topic, and the results can be confusing. Some of these studies have been interpreted to mean that purebred dogs are just as sturdy as mix breeds. However, some claim that the way these studies are communicated is biased. If you would like to learn more about the importance of crossing genetically distinct subpopulations, head over to this article which goes into some more depth. Perhaps the greatest irony of the debate is this—today’s recognized purebred dogs were the designer dogs or mixed breeds of yesteryear. While it can’t be stated that one side of the argument is right and the other is wrong, one thing is for sure—breeders of any dog, whether mixed breed or purebred, need to take care that the welfare of the animal is of paramount concern. Like many designer breeds of dogs, the exact origin of the Mastador is not well known. It is also not known if these two breeds of dog were brought together intentionally or if the first Mastiff Lab mix was a happy accident. It is thought that this mixed breed had its beginnings in America. To learn more about what type of dog a bullmastiff and lab mix is likely to be, let’s have a closer look at the history of each of these breeds in isolation. The Bullmastiff was originally developed in England, around the year 1860. The breed is the result of a cross between the Bulldog and the old English Mastiff. Originally this cross was 60% mastiff and 40% bulldog. The purpose of this cross was to produce a breed that would act as a guard dog for gamekeepers against poachers. The impressive size and courage displayed by this cross breed made them perfect for their role as guard dogs. Originally brindle colored dogs were preferred by gamekeepers, as they camouflaged well into the night. The Bullmastiff was first recognized by the American Kennel Club in 1934. The Labrador had its origins around the fishing ports of Newfoundland. These dogs helped the local fishermen, pulling in nets and carts laden with fish. These dogs were smaller than the Labradors we have come to know today. Around the same time there was an even smaller type of dog in the area known as the St John’s dog. It is thought that these two types of dog bred with larger hunting dogs brought to Newfoundland by Englishmen. The resulting dogs were the beginnings of the modern Labrador. The dog soon gained popularity in England for its hunting ability. The Earl of Malmsbury gave these dogs the name ‘Labrador’, and in 1916 the first Labrador club was started in England. The Labrador was recognized by the American Kennel Club in 1917. These days, Labradors are consistently one of the most popular dog breeds. What Are Bullmastiff Cross Labradors Like? Like human kids, it’s hard to say exactly what a Mastiff Lab puppy will look like, or which parent they will take after in temperament. But by having a closer look at the parents, we get an idea of what mastiff lab puppies may be like. Size, Height and Weight of a Lab And Mastiff Mix. A Bull Mastiff will typically weigh anywhere between 90 and 130 pounds, depending on gender. They can be anywhere between 24 and 27 inches at the shoulder in height. They are also a heavy set dog. A Labrador is a somewhat smaller dog than the bullmastiff and will typically be around 22 inches at the withers. Whichever side of the family your Lab Mastiff pup takes after, the fact remains that both parents are large dogs. A Bull Mastiff Labrador mix is going to be a big dog. Bullmastiffs have six colors and one marking recognized by the American Kennel Club. The colors are: Fawn, fawn/brindle, red, red/brindle, red/fawn and red/fawn/brindle. The recognized marking is a dark face mask. Bullmastiffs also have a distinctive droopy face and floppy jowls. Which unfortunately aren’t the most structurally healthy of features. 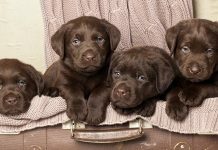 The Labrador comes in three recognized colors; yellow, black and chocolate. They are also known for their kind, friendly eyes. 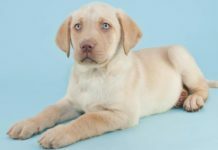 If you are after certain characteristics in a puppy, such as a yellow Lab Mastiff mix, or a chocolate Lab Mastiff mix, it will be a good idea to meet the parents of your puppy! Some Mastadors look decidedly like a Bullmastiff, and others like a Labrador with slightly looser jowls. Often, a Lab Mastiff cross results in a rather distinguished and stately looking pooch. Bullmastiffs are not overly active dogs, so spending time lazing around inside is not a big issue for them. However, like all dogs, they still require regular exercise. Don’t let them lay around all day! They are also known to be loyal dogs, protective of their family. 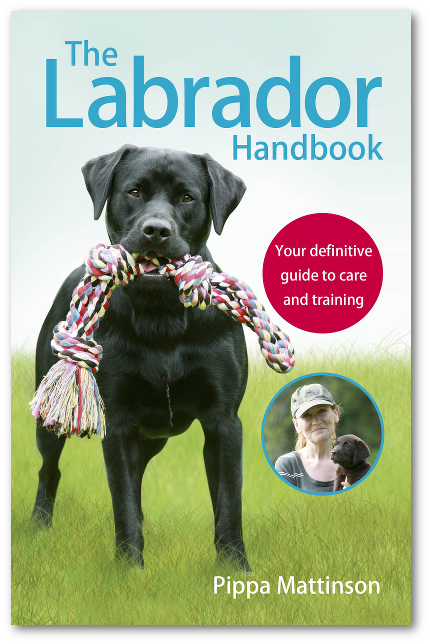 The Labrador is known for its friendly, outgoing personality and laid back personality. However, a Labrador’s even temperament should not be confused with laziness. They are very active dogs and will thrive if they get lots of opportunities to play. A Bullmastiff Lab mix could take after either side of the family or fall somewhere in between. Whichever parent your lab mastiff cross takes after, they are likely to have a relaxed and friendly temperament. Training, leadership and regular time spent playing with your Mastiff cross Labrador puppy will mean it grows up to be a happy and well-adjusted companion. The Bullmastiff has a short coat and does not require heavy grooming. Labradors have a double coat, so they will shed. They need regular grooming and baths to keep them looking their best. Seeing neither of these parent breeds have a very long coat, grooming will not be a very time consuming task. However, if your puppy takes after the Labrador parent, you may need to spend a little time keeping their coat groomed. Particularly in the case of black Lab Mastiff, the short, shiny mastiff coat teamed with the jet black color of the Labrador makes for an impressive shiny black coat. Keep an eye on the nails of your dog and, trim them when necessary. Labrador’s nails grow quickly, so they could become excessively long if not kept in check. 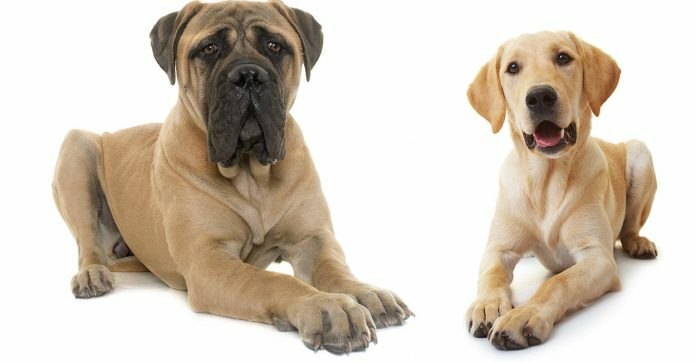 Both the Labrador and the Bullmastiff have floppy ears, so regularly check your dog’s ears for excessive wax buildup. Just because Mastiff Lab mix pups are a cross breed, this does not mean they are immune to the health issues that the parent dogs may experience. It is still vitally important to check that the parents of your Labrador x Mastiff puppy enjoyed good health. Bullmastiffs are a brachycephalic dog. In everyday terms, it means they have a short, flat head. Dogs with this head shape are more prone to breathing problems and skin problems. This is due to the structure of their nose, and the deep folds of skin around the face, which can become irritated. A study done in 1993 also indicated that Bullmastiffs are at risk of suffering a heart condition called valvular pulmonic stenosis. 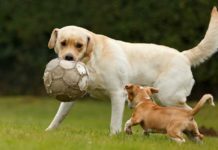 The main health concerns reported among Labradors are hip and elbow dysplasia, eye diseases (in particular progressive retinal atrophy), and exercise induced collapse. 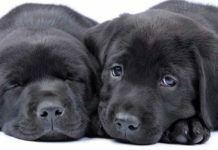 Other conditions to watch out for in Labradors include: Dermatitis, Centronuclear myopathy, Copper Associatic Chronic Hepatitis, Cranial Cruciate Ligament Rupture, Hypoadrenocorticism, Osteochondritis Dessicans of the Stifle, Patellar Luxation, Shoulder Osteochondrosis, Tricuspid Valve Malformation. 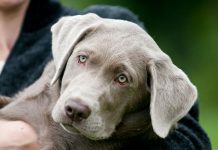 Given that elbow and hip dysplasia is a common problem in Labradors, and tends to occur more frequently in large dogs, it is important that you check that this has not been a problem for your puppies’ parents. Despite being cross bred, both of your puppy’s parents should be fully health tested. The Labrador parent should have a recent clear eye test, good hip and elbow scores and be PRA clear. The Mastiff parent should have no history of eye problems, skin fold infections and a recent heart check from the vet. Ideally they should also be hip tested. The Bullmastiff is a natural guard dog and is an independent thinker. As such, they need thorough socialization from a young age. You must meet the Mastiff parent and feel confident that their guarding nature is not to the detriment of their friendliness around strangers. Even when bringing home a Mastiff Lab mix, socialization is still essential. You don’t know which parent they will take after, so you need to be proactive. Make sure you have visitors to the home every day from 8 to 14 weeks old, then regularly from that point. Take them somewhere new and busy every day, where they will meet lots of friendly faces of various ages. Keep in mind that despite their size, Bullmastiffs are quite sensitive deep down. Positive reinforcement training is essential with potentially aggressive breeds, and those prone to stubbornness. It makes training motivational and rewarding, and an enjoyable experience for you both. On the other hand, Labradors ae sociable, outgoing dogs that are eager to please. They have high energy levels and love to be kept busy. Whether your lab mastiff puppy takes after the bullmastiff or the Labrador, training and strong leadership is going to be highly beneficial for your puppy. Particularly given the size this dog will grow to be. While Bullmastiffs are known to be happy spending time indoors relaxing, Labradors crave a little more action. After you bring your lab mastiff puppy home, it will take some time before you know which side of the family he or she will take after. It is important that you have somewhere outside you can take your Lab Mastiff cross for some playtime. Neither the Labrador nor the Bullmastiff is keen on being left alone for long periods, so a home environment where someone will be around a fair bit is ideal. Labs crave company and can become destructive if left. Mastiff Lab mix pups are not suited to homes with full time workers, unless they can come along. Are Lab Mastiff Mixes Good Family Dogs? Both breeds are family friendly in temperament, provided they are thoroughly socialized and bred from friendly parents. But the large size of these dogs should be taken into consideration, especially if you have small children in your household. That being said, because Mastadors tend to be at least moderately active dogs, they may well be a good match for a household with kids who are old enough to run around and play safely with a dog of this size. And make sure you take a moment to consider if your budget can accommodate a rather large doggie mouth to feed! Mastadors are not an official “breed” of dog, but you will still be able to find Mastiff Lab mix enthusiasts online. You may be able to find mastiff lab mix puppies this way. Otherwise, keep an eye out on other sites online and in newspapers, and remember good old-fashioned word of mouth. It is important that when looking for a mixed breed puppy you pay close attention to the conditions they have been raised in. It is essential that you physically attend the premises where the puppies are housed. Check if the other puppies in the litter are healthy and ask to see the parents. Don’t be afraid to ask lots of questions. 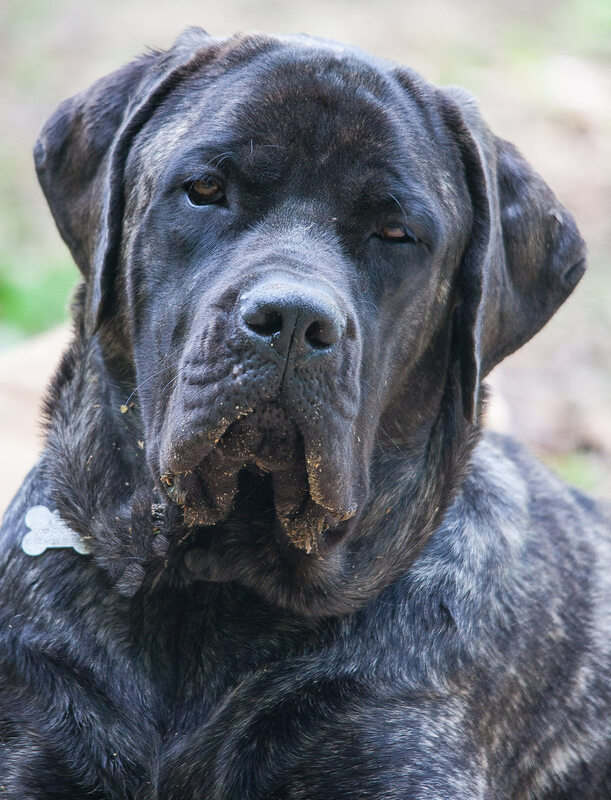 Ask for physical proof of health tests, and meet the Mastiff parent to ensure that they are not stranger friendly. Should I Get a Lab Mastiff Cross? You are the only person that can answer that question, but we have covered some points that you should keep in mind when making a decision. The Mastiff Lab mix is a big dog and will need training and exercise. While it is a mixed breed, there are still some health conditions you should keep an eye out for, such as elbow and hip dysplasia. Make sure your Bullmastiff Labrador puppy has healthy parents. Meet the Bullmastiff parent, even if it’s the father and you need to travel to do so. He should be friendly and not overly wrinkled or jowly, with a relatively long nose and wide open nostrils. If you are sure you have the time, space and energy you need to devote to a Mastiff Lab mix, then you might just find a loyal and fun-loving companion in the Mastador. Universities Federation for Animal Welfare – Genetic Welfare Problems of Companion Animals – Labrador Retriever. Yes I have read the same. The mastador is a lab english mastiff mix not bull mastiff. But i suppose all mastiff lab mixes could be called a mastador. Having been bred since the1950s it’s interesting that they are not featured in any dog book that includes designer or mixed breeds. My mastador began as my college daughters dog; I became the owner when she could not take him to grad school. Riley is currently …6 years old? In the house, he likes to steal my grandchildrens toys that squeak and run off – grandkids hot on his tail. My grandson, the first day he met Riley (yellow in color) he took out of Riley’s mouth a new rawhide bone – Riley just looked at him, that was it. Riley became very protective of my grandchildren and when another dog (inherited from a son who also could not take his dog to grad school – do you see a pattern here?) – so when the other dog came close to my grandson (who was in his highchair tossing food to Riley every so often) so my other dog walked between Riley (on highchair duty) and the highchair – Riley took him to the floor instantly. The problem with my Mastador – he has become overly protective. He tries to “save” my grand children when they are in the pool so I have to keep him locked in the house. He has very large, sharp teeth. Me – I am crippled and have seizures. Riley is in-tune with me and knows before I do when I am about to have a problem; he saved my life in 2017 by sitting in front of me and looking at me and then my wife all the while whining. My wife did not know what to do as 2 days prior a local ER said I was fine – I wasn’t and Riley knew it thus I am here today. Riley has become increasingly protective and has bit my wife twice. Neither time was it the dogs fault, my bride thinks Riley is a sweetheart (which he is) but he is also large and ferocious. Never put your hand around the face of a dog that wants to attack even when he wants to protect you. So – mastador is lovable, good with children, protective – to a fault. My 13 week matador plays hard with out other two digs.Is it normal for him to limp.He was favoring a front leg two weeks ago.now one of his back legs..This has been goi g on for 4 days now..I’m concerned.